1. Verbal or written quotations are subject to change at any time depending on driving times and length of time members of staff have to be on site to set-up and pack-down. 2. Once you agree to a written or verbal quotation, this is considered "acceptance" of our terms and conditions and an invoice will be drawn up and emailed to your chosen email address. This is a contractual agreement between you the "event organiser" and Fun Casino Nights Ltd.
Once you receive your invoice, it contains all of your event details, your order breakdown and the payment details you require. It is up to the "event organiser" to check all of the details on the invoice and inform us straight away of any mistakes or changes in the event details. A change in agreed event details (date, location, times, number of tables ordered etc.) can result in a change of the invoice amount. DEPOSIT: The invoice contains your payment breakdown. £100 deposit is requried to confirm your event booking. Once this is paid you are confirmed in our event calendar and no other booking can replace your event booking. 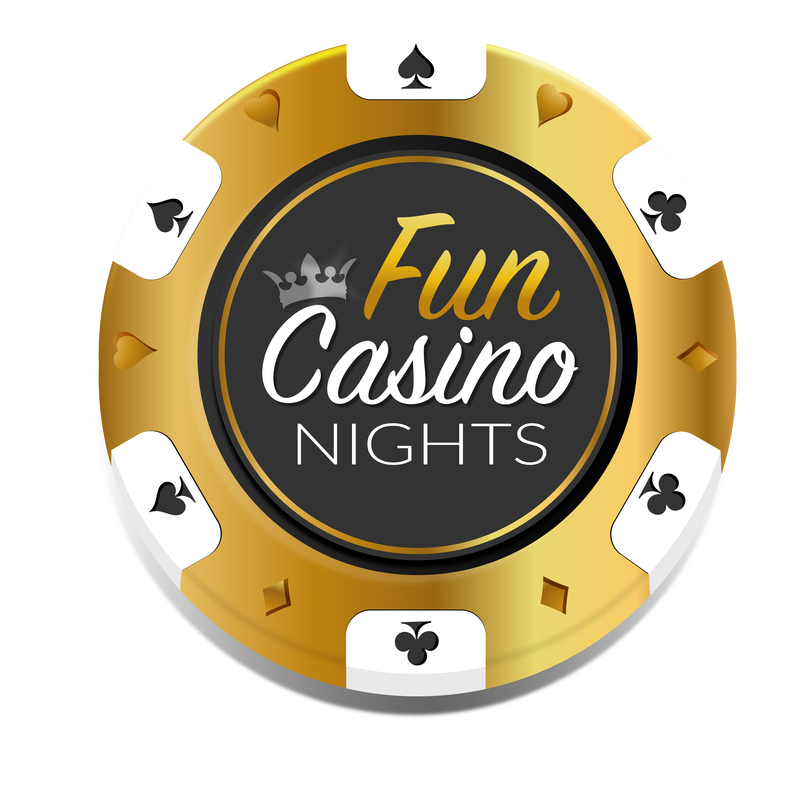 Until your deposit is paid Fun Casino Nights reserve the right to confirm another event booking on your event date, which may result in us not being able to cater for your event. REMAINING BALANCE: The full remaining balance (once deposit has been paid) must be paid on or before the event date. If paying by cheque or Bank Transfer you must send this 7 working days before you event date to give this time to clear in our account. If paying by cash on the night, this must be given to the Manager of the Event upon arrival before any set up or Casino games have commenced. Without cleared full payment of balance Fun Casino Nights reserve the right to not operate your event. 4) The Client will be invoiced for the Casino services plus any Other Services agreed on the Booking Confirmation. The Client shall settle this invoice by the due date stated unless otherwise agreed in writing. v) All deposit payments are non-refundable. If you are eligible for a refund you will need to supply your account name, sort code & account number to return this to. 8) If the venue provided by The Client is unable to accommodate the Acts(s) and the Act(s) is/are unable to perform for this reason The Client will be liable for cancellation charges as outlined above. 9) The Client shall provide a suitable performance area for the Casino Tables and ensure there is an adequate power supply which meets industry standards if electrical equipment is to be used as part of the performance. 10) The Client agrees that if any croupier is threatened, abused verbally or physically by anyone present at the event then the croupier will be entitled to refuse to work, without penalty. All Fees will remain payable by The Client . 11) Any changes to the casino playing time schedule will be subject to these Terms and Conditions. 12) In the event that any Croupier is unable to complete the full casino hire time due to a delay in the start of the hire time schedule, where such delay is no fault of the Croupier, the Client shall remain liable to pay the full Fee due. 13) Should the Croupiers be required by the Client to extend the length of the hire time, a further fee may be charged as agreed between the parties. 14) Croupiers are not obligated to finish any hire time that has started late due to the Clients actions or to extend the length of any performance. 16) These Terms and Conditions shall be governed by and construed in accordance with the law of England and the parties hereby submit to the exclusive jurisdiction of the English courts.